The NIHR Biomedical Research Centre, Oxford (OxBRC) is based at the Oxford University Hospitals NHS Foundation Trust and run in partnership with the University of Oxford. The OxBRC brings together the research expertise of the University of Oxford and the clinical skills of staff of Oxford University Hospitals NHS Foundation Trust with the aim of supporting translational research and innovation to improve healthcare for patients. The NIHR BRC Musculoskeletal theme is led by Professor Andrew Carr and includes our three world-leading research institutes – the Botnar Research Centre, the Kennedy Institute for Rheumatology and the Kadoorie Centre. It also incorporates the internationally recognised Centre for Statistics in Medicine and the accredited Oxford Clinical Trials Research Unit, as well as the NIHR Thames Valley Clinical Research Network, and plays a lead role in the NIHR Translational Research Collaborations in inflammatory joint and rare bone diseases. The Musculoskeletal theme encompasses inflammatory joint disease, trauma, degenerative joint disorders and rare bone diseases. We will build upon our established and proven strengths in identifying new pharmacological, surgical and rehabilitation treatments and accelerating their translation to the clinic. We will also further develop Oxford’s promising tissue engineering implants and devices for the benefit of patients. 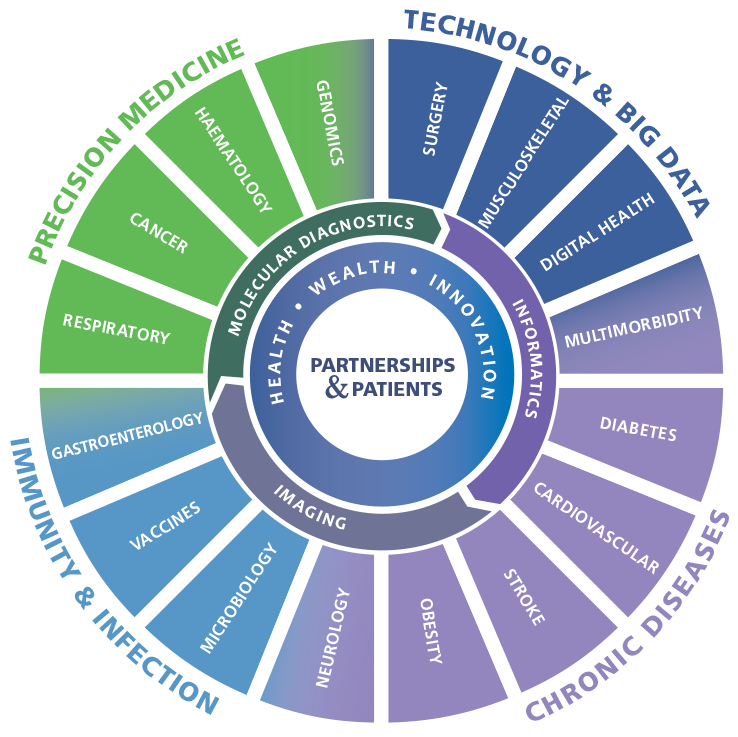 The Musculoskeletal is embedded within the Technology and Big Data cluster of the OxBRC and interacts strongly with themes within the Precision Medicine, Immunity and Infection and Chronic Disease clusters. 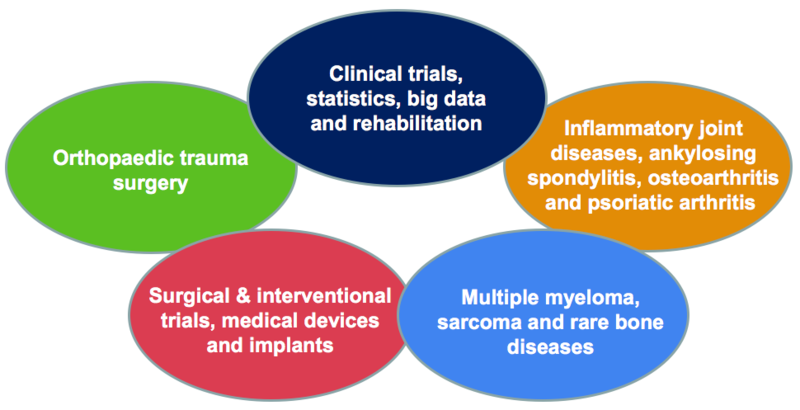 The overarching aim of the Musculoskeletal theme is to use cutting edge methodologies to drive translational research in musculoskeletal science with the ultimate goal of improving outcomes for patients with musculoskeletal disease. Andrew Carr (lead), David Beard, Jonathan Rees, Jagdeep Nanchahal, Dom Furniss, Andrew Price, Tim Theologis, Dominique Rothenfluh, Sion Glyn-Jones, Amar Rangan, Pierre Alexis-Mouthuy, Sarah Snelling. Sallie Lamb (lead), Dani Prieto-Alhambra, Jonathan Cook, Alan Silman. Peter Taylor (lead), Laura Coates, Hussein Al-Mossawi, Paul Bowness, Fiona Watt, Julia Newton, Matteo Vecellio, Anushka Soni. Bass Hassan (lead), Kassim Javaid, Udo Oppermann, Claire Edwards, Nick Athanasou. Matt Costa (lead), Xavier Griffin, Dan Perry, Sallie Lamb, Keith Willett, Steve Gwilym.